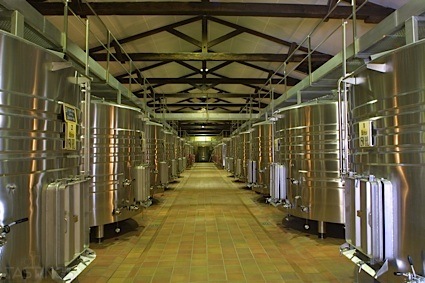 Bottom Line: A Napa blend built for the long haul; cellar to discover its true potential. 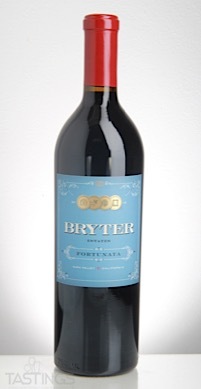 89 • Bryter Estates 2012 Fortunata, Napa Valley 14.9% (USA) $70.00. 91 • Bryter Estates 2013 Amoroso, California 14.9% (USA) $45.00. 92 • Bryter Estates 2013 Maritus, Napa Valley 14.8% (USA) $80.00. 90 • Bryter Estates 2013 Inspired Beckstoffer Georges III Vineyard, Cabernet Sauvignon, Rutherford, Napa Valley 14.9% (USA) $125.00. 90 • Bryter Estates 2014 Cadeau Sunchase Vineyard, Pinot Noir, Sonoma Coast 14.8% (USA) $60.00. 92 • Bryter Estates 2014 Inspired, Cabernet Sauvignon, Rutherford, Napa Valley 15.2% (USA) $125.00. 92 • Bryter Estates 2014 Fortunata, Cabernet Sauvignon, Napa Valley 15.6% (USA) $70.00. 92 • Bryter Estates 2014 Barrel Selection, Cabernet Sauvignon, Rutherford, Napa Valley 14.8% (USA) $165.00. 90 • Bryter Estates 2015 Cadeau Sunchase Vineyard, Pinot Noir, Sonoma Coast 14.7% (USA) $60.00. 85 • Bryter Estates 2016 Jubile Rosé Potter Valley, Pinot Noir, Mendocino 14.1% (USA) $32.00. 94 • Bryter Estates 2013 Inspired Beckstoffer Georges III Vineyard, Cabernet Sauvignon, Rutherford, Napa Valley 14.9% (USA) $125.00. Bryter Estates 2014 Fortunata, Cabernet Sauvignon, Napa Valley rating was calculated by tastings.com to be 92 points out of 100 on 3/6/2018. Please note that MSRP may have changed since the date of our review.